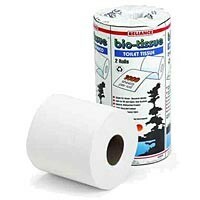 2 rolls of 1000 sheet single ply tissue. Safe for RV and septic tank systems . Dissolves quickly. recylced content - 90% post-consumer fibre.